An industrial style mirror the Antique Silver Almost Square Bathroom Mirror With Shelf is perfect for bathrooms with less space. The Antique Silver Bathroom Mirror With Shelf is a stylish storage alternative to traditional mirrors and is perfect for storing your lotions and potions. 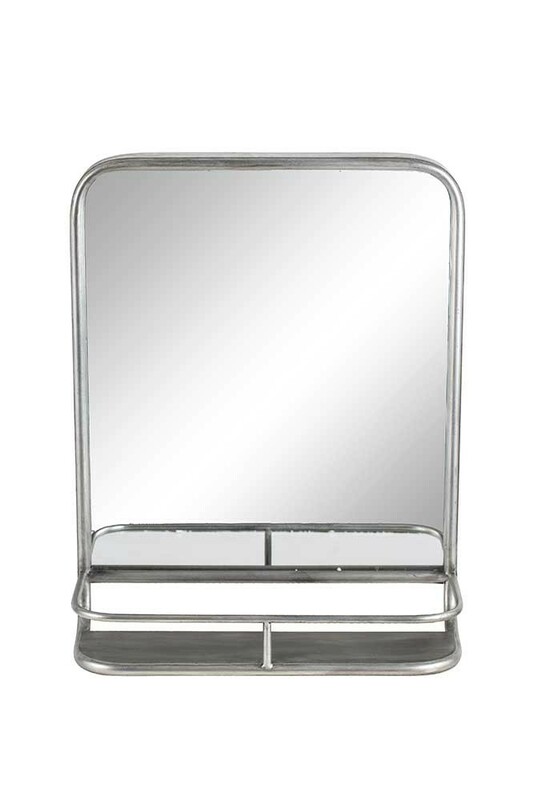 Oh so chic the stylish square mirror has a distressed silver metal surround and silver metal shelf and bar to keep all your bathroom essentials and display items in place. 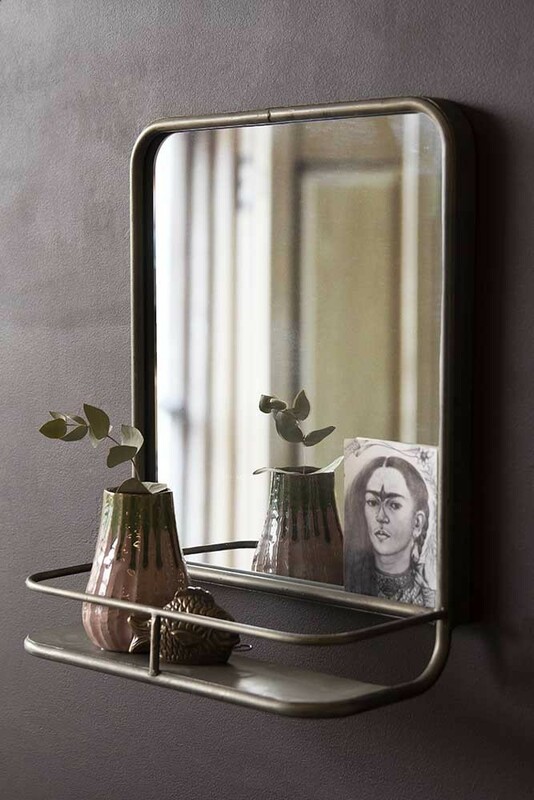 The silver painted iron mirror measures 40cm in width x 17cm in depth x 50cm in height. Our range of bathroom mirrors with shelves have become an Instagram favourite. If you search our hashtag (#rockettstgeorge) you’ll see the homes of our fabulous customers like you, sharing shots of their wonderfully styled bathroom mirrors with shelves. 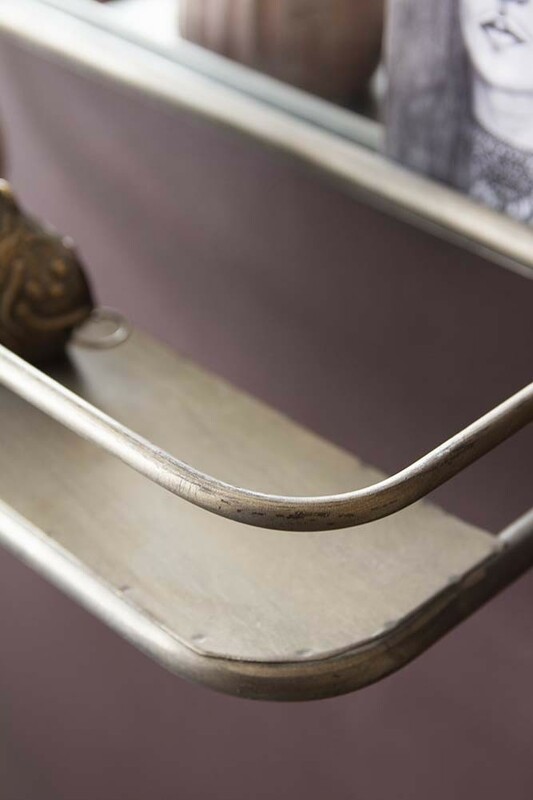 Because of the popularity of our Mirrors With Shelves we wanted to add to our range with a number of different shapes, sizes and finishes to give you more choice. Whilst we think this mirror is great for bathrooms, it would look equally great in other rooms in your home such as the entrance hall or bedrooms. Then create a shelfie on the gold mirror shelf with your favourite scented candles, display ornaments and vases. For a bathroom you could keep it more functional and keep your toothbrushes and toothbrush holders, make up and lotions on the storage shelf.